The litchi growers of Dinajpur district, famous for the production of the fleshy and juicy fruit, are expecting bumper yield this season following excellent blooming in the litchi trees amid favourable weather condition. The farmers are now passing busy days nursing trees in orchards and homesteads. The farmers and agriculture officers have been predicting bumper yield this season if weather remains favorable. According to Department of Agriculture Extension (DAE) in Dinajpur, only 1,500 hectares of land were brought under litchi production in 2009, 1,780 hectares in 2010, 1,965 hectares in 2011, 2,500hectares in 2012, 4,057 hectares in 2015 and 4,770 hectares in 2017. This year, a total 5,600 hectares land have been brought under litchi production. 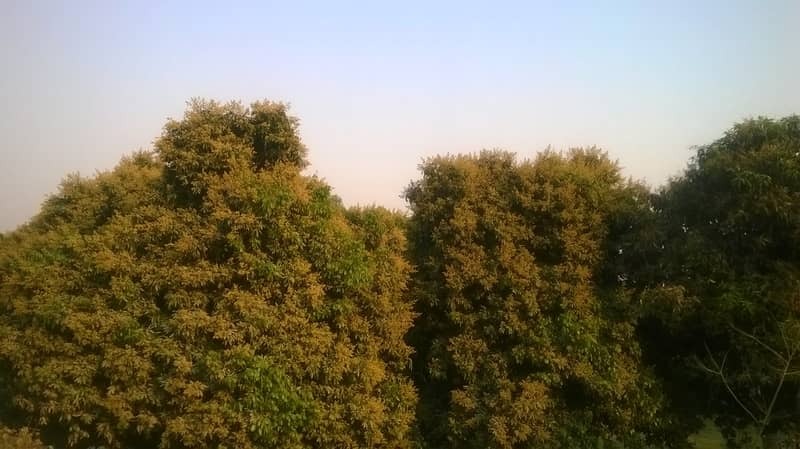 Farmers said that though the flowering of litchi trees was delayed due to severe cold and foggy weather this season but the blooming is better than the previous year. Khairul Islam, a resident of Baznabahar village in Biral upazila, said he has two acres of litchi orchard. He is expecting bumper production and taking care of his orchard. Imrul Ahsan, officer of the Dinajpur Horticulture centre, said the sprouting of buds in litchi tree has been increased for favorable weather and they have suggested the farmers to spray recommended quantity of pesticide in their trees to prevent mite attack.